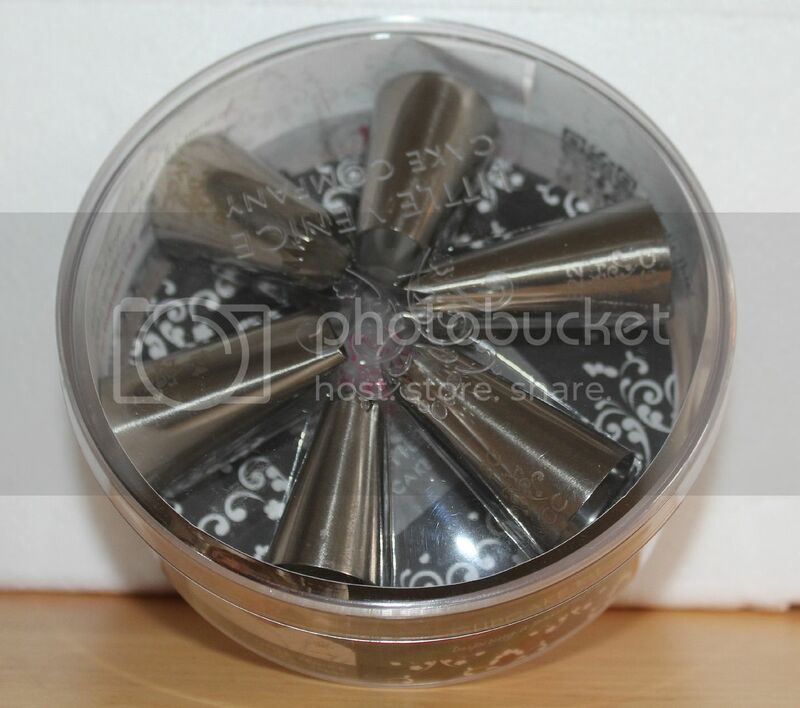 Recently I received a Little Venice Cake Company Cupcake Starter Kit to Review. If you enjoy making cupcakes then I can highly recommend this kit. 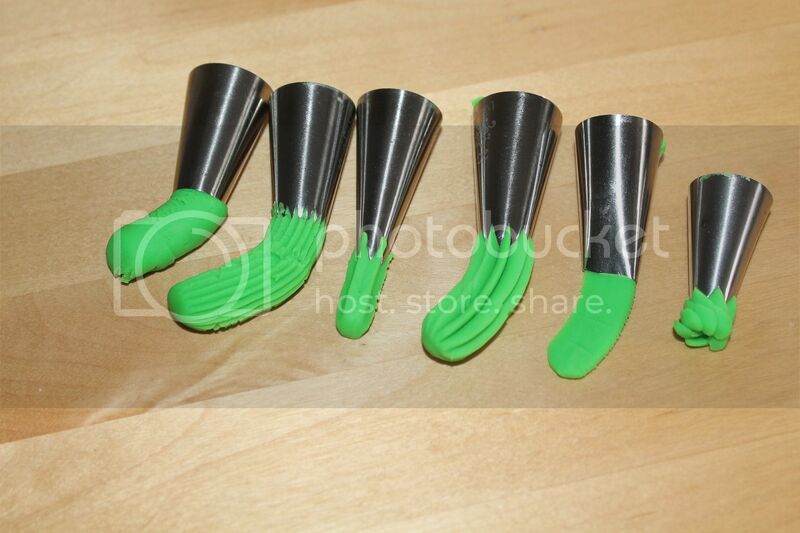 It retails at £9.99 and contains 6 stainless steel nozzles and disposable piping bags. To demonstrate the shapes they can make, I did what any mum of children would do and filled them with Play Doh. If you are looking at icing cupcakes on the internet, you tube videos and recipes will often tell you which type of nozzle to use. I decided that I would have a go at two tone frosting for my snowflake cupcakes and used the LVCC 2 nozzle. 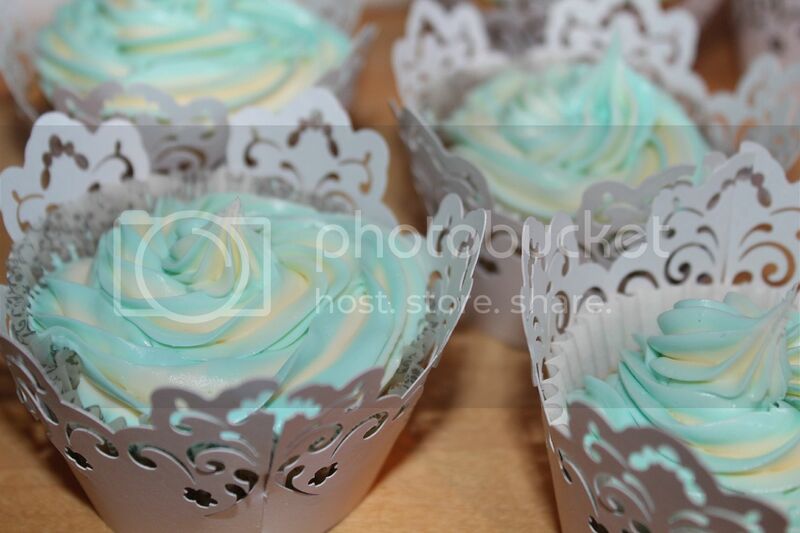 I started by preparing the white and blue icing with CMC and leaving overnight. 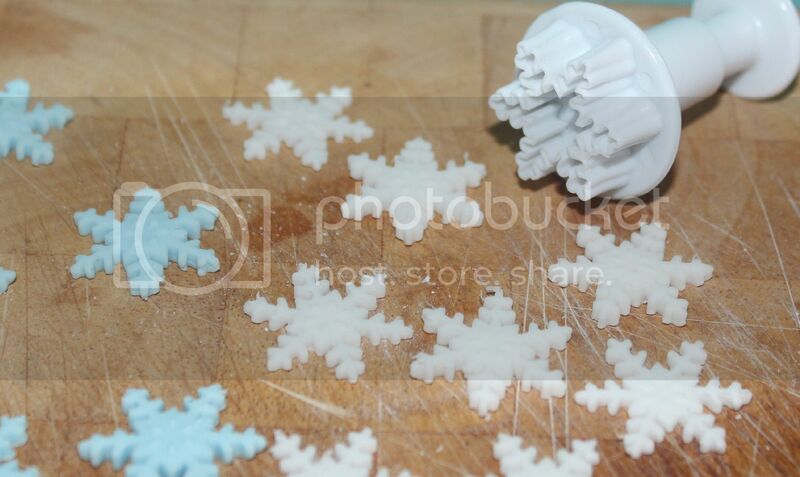 I then used a small snowflake plunger to make white and blue snowflakes. I cooked my cupcakes using a 4oz sugar, 4oz self raising flour, 4oz caster sugar and 2 eggs. I baked them at 150 degrees C and used the elegant cupcake cases. To decorate the cakes I chose the LVCC 2 nozzle from the cupcake starter kit. 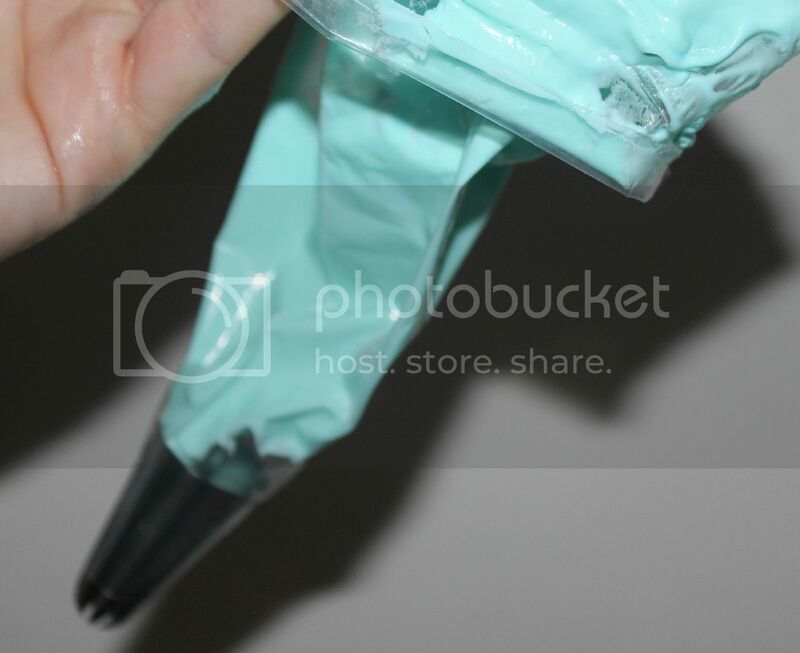 I cut the end off the disposable piping bag and pushed the nozzle in place. 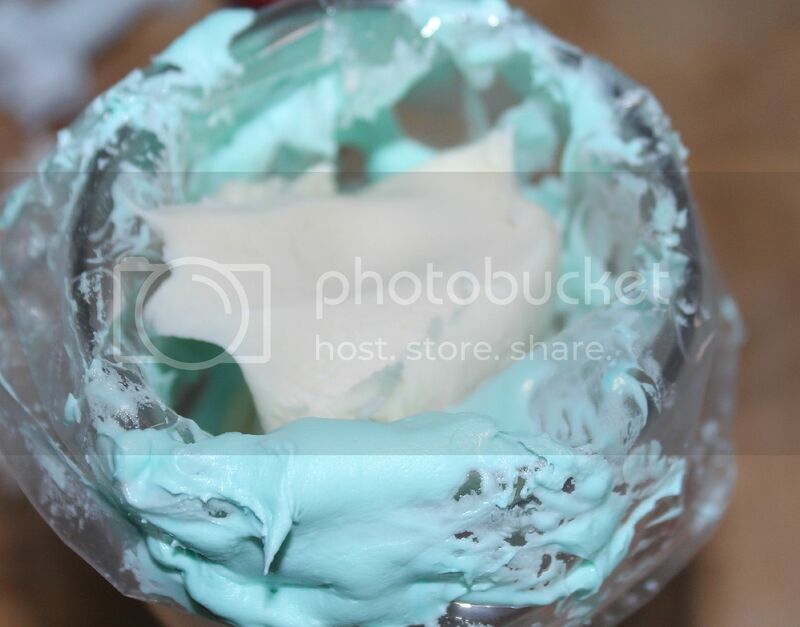 I then make up a small amount of blue frosting using blue colouring and Betty Crockers vanilla frosting. I then placed this in the piping bag and smoothed it over the edges of the bag. I then placed the bag into a pint glass and opened the bag up. In the middle I added the white frosting. I then used this to decorate the cupcakes, giving a two tone effect. I finished the cupcakes off by adding the snowflakes and silver sugar balls. I was given the cupcake starter kit for the purpose of this review but the opinions here are my own. Far too good to eat! Think I'll have a go at making these,they look fab! If only my boys thought the same - gone in seconds! These look delightful, love the two tone effect, very lavish. Wow! - They're almost too beautiful to eat! these are beautiful...too pretty to eat? These look great. Very seasonal. These are stunning and really are simple when you know how! Absolutely Love the two-tone icing! So pretty, love the snowflakes especially. Would make for a very elegant tea party. They look nice. My wife would love those. The snowflake cutter is excellent. These look lovely, like a cupcake from the film Frozen! Wow, these are so pretty! Would be almost a shame to eat them! These look great! I bet they taste amazing! ooooh they look to good to eat! Gorgeous! I need that snowflake puncher! 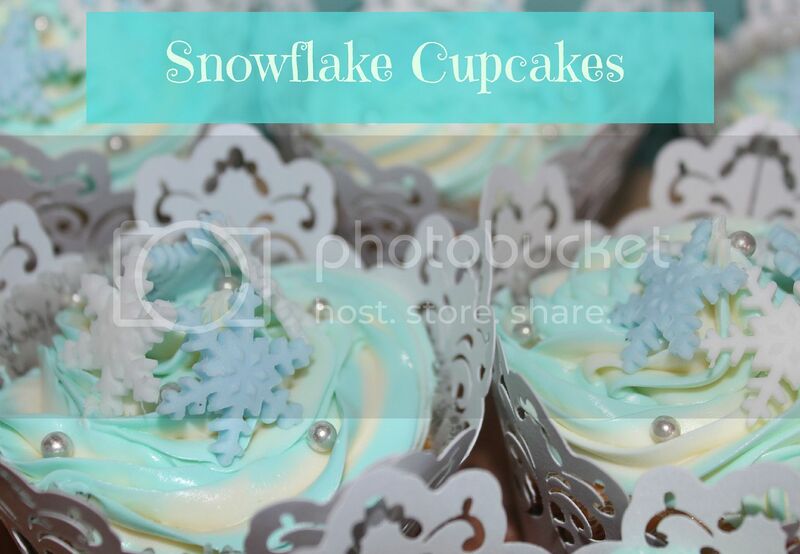 Mmm..snowflake cupcakes: arty and delicious. They look so delicate and tasty. Really lovely - too good to eat! Seriously cute! Nozzles look great. I have 2 plastic ones which are useless. Perhaps I need to hunt these down in the January sales! Thanks for linking up with #SavouringtheSeason Sorry I'm so late! Thanks - I am a total amateur! Think it will be out every year!